Happy to announce that I am one of 100 authors featured at the 30th Annual Buckeye Book Fair with my book Ohio’s Haunted Crime. The book fair is November 4th, 2017 from 9:30AM to 4PM at Fisher Auditorium in Wooster, Ohio. Admission is $2 a person. It is such a great honor to be an invited author to the book fair and I am very excited to be a part of it. 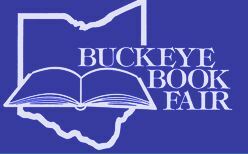 The Buckeye Book Fair is made possible thanks to sponsorship from the Ohio Arts Council, the Wooster Book Company, Smuckers, D.S. Distribution Inc., Ohio Humanities, and Friends of the Wayne County Public Library.